Replacement Windows, Mooresville, NC | G&S Contracting, Inc. Replacement windows do require an investment up front, but the cost savings for your Mooresville, NC home are well worth it. Replacement Windows in Mooresville – There are several reasons why you might be shopping for replacement windows. One of the most common reasons homeowners consider replacing their windows is when their home is very old, resulting in poor energy efficiency. One sign that you might need to replace your windows is if cold drafts seep through them, even when they are closed. If you are sitting near the window and feel cold air (during the winter) or warm air (during the summer), that window probably isn’t as efficient as it should be. As a result, you end up paying a lot of extra money each month in heating and cooling utility bills that is wasted on air leaking through the windows. Another concern in older homes is lead-based paint, which was commonly used until it was taken off the market in 1978. Single-pane windows were also typically used in older homes, and as you open and close them, the friction against painted areas can lead to production of dust that contains toxic lead particles. Some windows may even be painted shut with lead-based paint, which is both dangerous and useless, since you can’t use the windows to allow natural light and fresh air into the home. Replacement windows do require an investment up front, but the cost savings are well worth it. At G&S Contracting, we offer installation of replacement windows for customers in Mooresville, North Carolina and many of the surrounding cities. Give us a call today if you would like a cost estimate for replacement windows in your home. 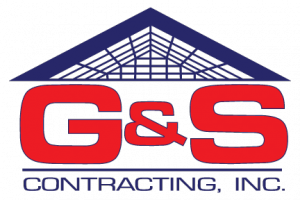 At G&S Contracting, Inc. we offer the highest quality Replacement Windows to our customers in North Carolina including: Mooresville, Cornelius, Davidson, Huntersville, Charlotte, and Lake Norman, North Carolina.